Help CFO’s and Finance Executive’s elevate their role through innovative strategies, planning and tactical execution. You will have the ability to apply and develop your experience in the areas of Finance Business Partnering, Finance Service Delivery Model, Finance Performance Management, Finance Process Improvement, Finance Strategy, and Corporate Transactions. 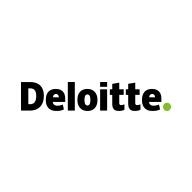 Consultants gain exposure to multiple industries while demonstrating an awareness of the full breadth of services offered by Deloitte Consulting LLP. Consultants perform accurate analysis and effective diagnosis of client issues and manage day-to-day client relationships at peer client levels. Finance shared services and F&A; outsourcing strategy development.